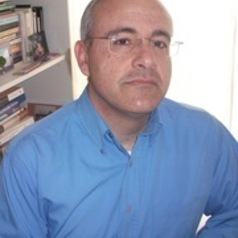 Rafael Rodríguez Prieto, scholar and political activist, is currently an Associate Professor in Legal and Political Philosophy at the University Pablo de Olavide in Seville, Spain. He was a visiting scholar at the John F. Kennedy School of Government of Harvard University, and he is the coordinador and a member of the RCC James B. Conant Research Group at Harvard University on Media, Democracy and Public Service. Author of “Ciudadanos Soberanos” (Almuzara, 2005), “Construyendo Democracia. Una propuesta para el debate” (Aconcagua 2005), and “Holocausto y Crímenes contra la Humanidad. Claves y Recorridos del Antisemitismo" (Anthropos, 2009). Co-author of "Por qué soy de izquierdas" (Almuzara, 2011) with José María Seco Martínez. He is a frequent contributor to Spanish media and social media.